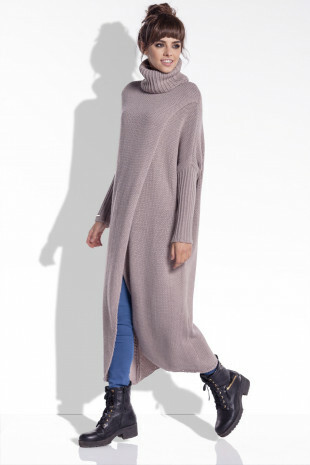 Long, warm cardigan with a pearl weave. The sleeves are slightly flared, ended with a narrow welts. High quality yarns made in the oldest Italian factories are very delicate and sensous. Moreover, you have a guarantee that your clothes have the relevant certificates and it's not from China or other countries where clothes are produced by using cheap labour and without required attests.